Please keep in mind that the water takes a few seconds to cool down and be careful when using the hot water, it can almost reach up to 70 degrees Celsius (158 Fahrenheit)! Sometimes the water can smell like sulphur. This is because it's sourced from a natural volcanic site, but there's nothing to worry about, it's clean and safe! If you would like to drink tap water, we recommend waiting for several seconds and then test that the water is cold. The cold water here is the best and usually measures at 6 degrees Celsius (43 Fahrenheit). 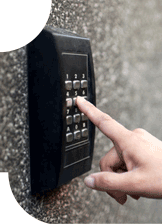 Our door intercom allows you to communicate with us at your convenience. Press the button in order to call us once you've arrived for check in. Please contact us for any reason on the intercom! 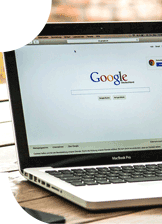 We provide our guests with free high-speed wireless internet in all rooms and as well in the common areas. In case of an emergency please contact the staff. If the situation requires urgent assistance please call the 112 emergency number. 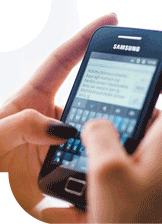 If the situation requires police, firefighters, emergency medical services or any other authorities please use your phone to call the 112 emergency number to speak with the operator. What's the best way to enjoy your holiday and get to know Iceland? Travel around the country! 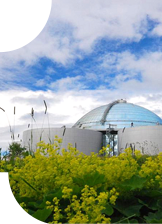 It is said that one who has not been to Perlan has not been to Reykjavik. Perlan belongs to Reykjavík like geothermal energy belongs to Iceland. 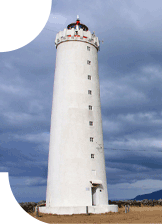 The magical lighthouse Grótta is located in the Westernmost part of Reykjavik - Seltjarnes. The little island where the lighthouse is located partially disappears with the tides. If you ask someone who discovered America they will most likely say it was Christopher Columbus! But that's not the complete story. Have you ever heard of Leif Erikson? 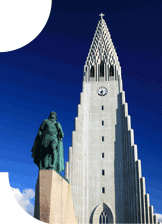 the first European person recorded as the founder of the Americas was Leif Erikson. Lucky Leif, as he was called, grew up in Iceland and had to leave the country when his father, Eric the Red was kicked out. Eric, together with fellow comrades, moved to a place he later named Greenland- He chose the name Greenland in attempt to attract more people to move there. Harpa Concert Hall was opened on May 4th, 2011 after a long construction process and has since its opening hosted over 5 million visitors. 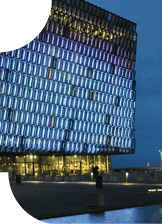 The building serves as a landmark of Reykjavík and its central location makes it a destination easy to access. 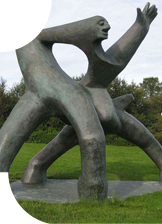 In Reykjavik you can find a variety of museums. 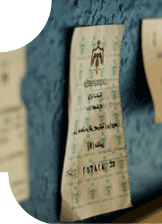 Here you will find a list of museums worth a visit.